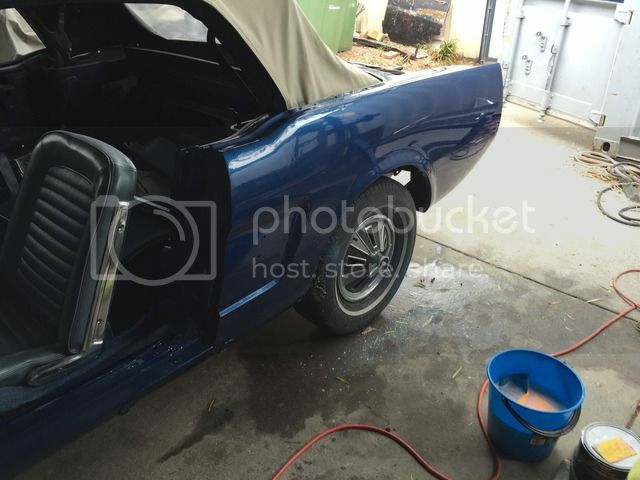 Thought I'd post up some pics of my 66 mustang of the retro progress. Just painted it myself over the weekend came up pretty dam good. Looking good. If I get bored I might do the same. Well done. I think my only real option is to paint mine myself. 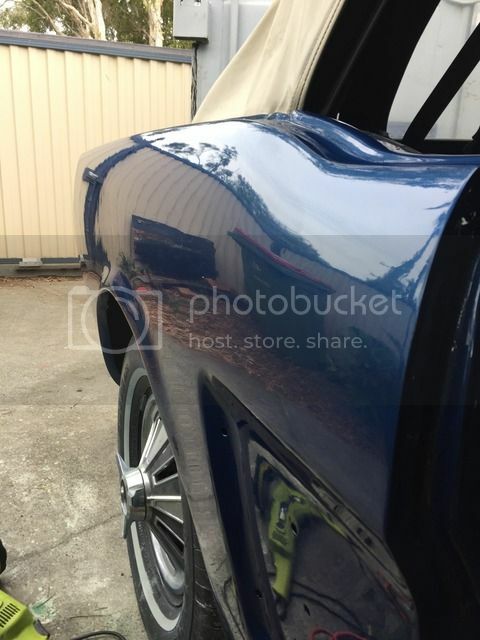 $10k+ for a professional paint job on a C Code coupe is simply throwing money away. It looks like you fabricated a spray booth outside, any more pics? 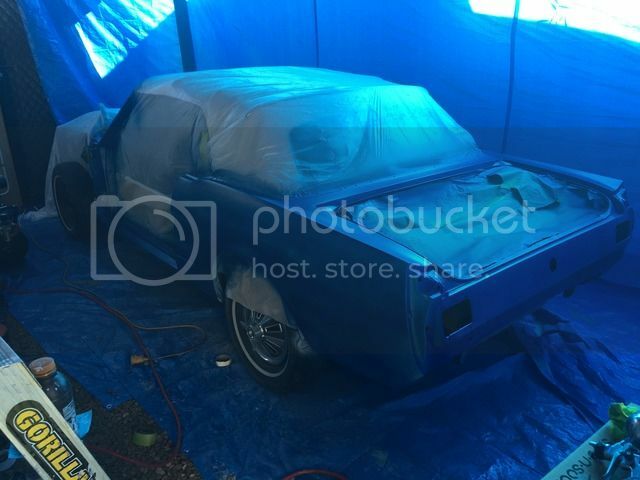 Any progress shots of the prep work? I'm not allowed to spend money on my cars, but I can help you spend yours! I just put tarps around my pergola to try and stop dirt and what not from blowing in. I always hose the ground down as well to stop dirt from flicking up. I've still got to paint the rest of the pannels just haven't had the time. 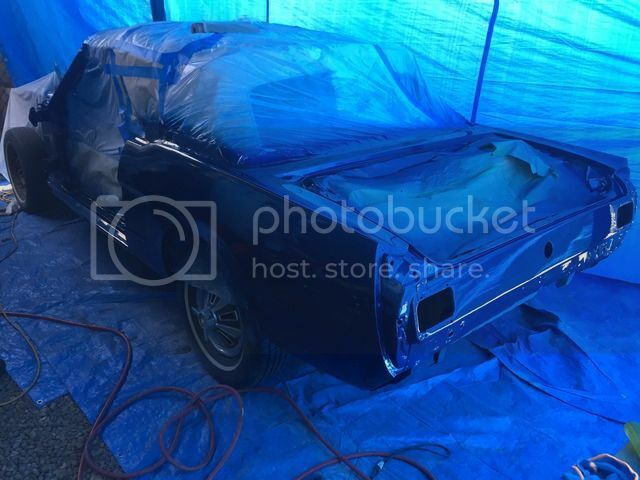 I was in the same boat not wanting to pay 10k for a paint job it came up just as good as some of these other paint jobs I've seen around. Quite happy with it. I painted the base coat several times and sanded back the bad areas until I was happy enough to clear it. What colour blue is it ? What, getting banned from a forum for spamming it?